This is actually a cream glitter palette. 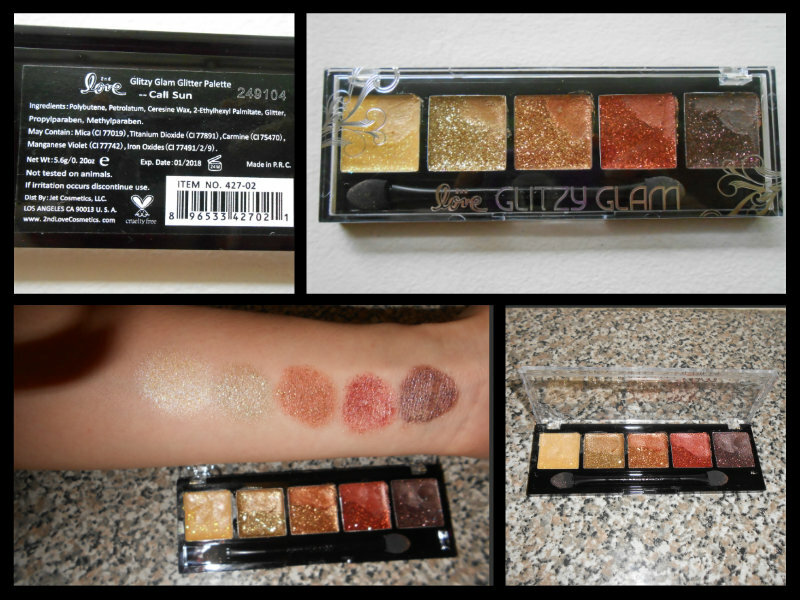 This is a combination of shimmery and creamy glitters. These can be used alone, over eye shadow, on the cheeks and I use it as an eyeliner too. It is creamy enough to stick to whatever part of your face you put it on without the glitter becoming lackluster. So far I've done a few looks. It applies easily, stays in place, and looks great on. I just get a dense crease brush and rub it in the glitter. It doesn't take much effort to get a lot on the brush. Then I put it in my crease for a subtle look. When I used it over my eye shadow it did not fall off into my eye. Wonderful sparkling eyes in seconds! Great selection of color to cover lid, highlight, accentuate and create an eye popping look. Great for clubing, Theatre, Dancing and Simply having dinner out!. Really helps Blue eyes shine and Green and brown eyes pop! I would definitely recommend this product to any girl who wants sparkly eyes. This come in 4 different shades 01. Rock n' Roll, 02. Cali Sun, 03. Dreamland and 04. Mermaid. *When applying, try one light layer in patting motions. *Ensure you blend it well, so that it does not look smeared. *Leave it to dry about 40 seconds so that it is not too soft or hard for applying the next layer or glitter eyeshadow as you need. *Once you have applied the glitter eyeshadow, you can apply your eyeliner and mascara. Nice palette, these are my shades! 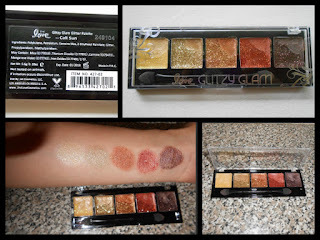 what retail store sale this palette??? Gorgeous.. =) love it need to buy one..